Saturday in the Square — Main Street Zephyrhills, Inc.
On the last Saturday of the month*, the heart of downtown becomes Zephyrhills biggest block party. 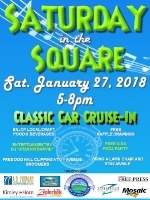 Saturday in the Square is a showcase for the great bands, great drinks, and great food..Meet and Shop Local Downtown Merchants at this FREE Family Event in beautiful Historic Downtown Zephyrhills. Listen to LIVE music in the Square. Participating Merchants will be offering special discounts, enjoy local craft food and beverages, and get to know your neighbors. Bring a chair and stay awhile! Meet and Shop Local Downtown Merchants at this FREE Family Event in beautiful Historic Downtown Zephyrhills. Listen to LIVE music in the Square. Participating Merchants will be offering special discounts, enjoy local craft food and beverages, and get to know your neighbors. Do your kids (or husbands) like police cars, fire engines and construction trucks? Here’s a chance for children to get up close, sit behind the wheel, honk the horn, and explore their favorite vehicles they see on the road every day. Touch "Big Trucks" and a variety of vehicles and meet the people who protect, serve, and build Zephyrhills! Are there Ninja Turtles in our storm water drains? You can find out at Touch A Truck. City of Zephyrhills Waste Water Department will have the camera truck exploring the drains for the kiddies to see!! We invite show-quality 1987 and older hot rods, street rods, and antiques to join us along 5th Avenue and around downtown showing off these classic beauties. Cars can start arriving at 5:00 pm. Join us and take a trip down memory lane. Meet and Shop Local Downtown Merchants at this FREE Family Event in beautiful Historic Downtown Zephyrhills. Participating Merchants will be offering special discounts, enjoy local craft food and beverages, and get to know your neighbors. We invite show-quality 1987 and older hot rods, street rods, and antiques to join us along 5th Avenue and around downtown showing off these classic beauties. Cars can start arriving at 5:00 pm. Join us and take a trip down memory lane. Meet and Shop Local Downtown Merchants at this FREE Family Event in beautiful Historic Downtown Zephyrhills. Listen to music in the Square by DJ "Starvin Darvin" and "The Shane Forrester Band" . Participating Merchants will be offering special discounts, enjoy local craft food and beverages, and get to know your neighbors. "Touch a Truck & Pet a Palooza"
Bring the family and Chairs & Stay a while! Spend the evening Downtown! Meet and Shop Local Downtown Merchants at this FREE Family Event in beautiful Historic Downtown Zephyrhills. Do your kids like police cars, fire engines and construction trucks? Here’s a chance for children to get up close, sit behind the wheel, honk the horn, and explore their favorite vehicles they see on the road every day. Touch "Big Trucks" and a variety of vehicles and meet the people who protect, serve, and build Zephyrhills! Are there Ninja Turtles in our storm water drains? You can find out at Saturday in the Square on June 30th. City of Zephyrhills Waste Water Department will have the camera truck exploring the drains for the kiddies to see!! Spend the evening Downtown! Meet and Shop Local Downtown Merchants at this FREE Family Event in beautiful Historic Downtown Zephyrhills. Join our FREE Saturday in the Square Scavenger Hunt. Follow the clues posted on our Facebook page beginning at 5:15pm. Prizes include a $50 Visa Gift Card, Bowling Prizes, and More! Listen to LIVE music in the Square. Participating Merchants will be offering special discounts, enjoy local craft food and beverages, and get to know your neighbors. It's sure to be a great evening filled with great music!! We invite show-quality 1987 and older hot rods, street rods, and antiques to join us along 5th Avenue and around downtown showing off these classic beauties. Cars can start arriving at 5:00 pm. Join us and take a trip down memory lane. Meet and Shop Local Downtown Merchants at this FREE Family Event in beautiful Historic Downtown Zephyrhills. Listen to music in the Square by DJ "Starvin Darvin". Participating Merchants will be offering special discounts, enjoy local craft food and beverages, and get to know your neighbors. Meet and Shop Local Downtown Merchants at this FREE Family Event in beautiful Historic Downtown Zephyrhills. Listen to LIVE music in the Square. Participating Merchants will be offering special discounts, enjoy local craft food and beverages, and get to know your neighbors. Free Kids Pizza Party Sponsored by Domino's Pizza. Free Dog nail trimming by 5th Avenue Pet Groomers. 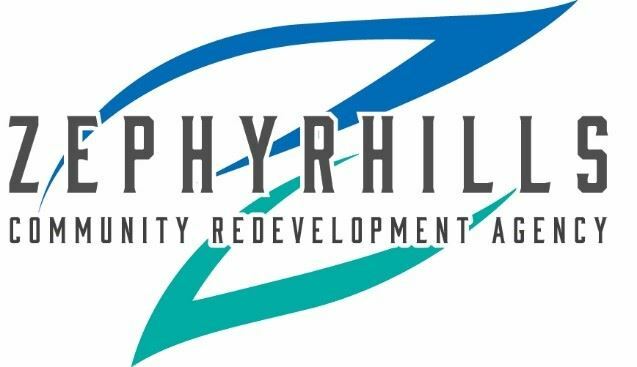 Live Music by Zephyrhills' own "Phase III Band"
Meet and Shop Local Downtown Merchants at this FREE Family Event in beautiful Historic Downtown Zephyrhills. Listen to LIVE music in the Square. Participating Merchants will be offering special discounts, enjoy local craft food and beverages, and get to know your neighbors. Free Kids Pizza Party Sponsored by Domino's Pizza. Free Dog nail trimming by 5th Avenue Pet Groomers. Live Music by Zephyrhills' own "The Time Travelers"